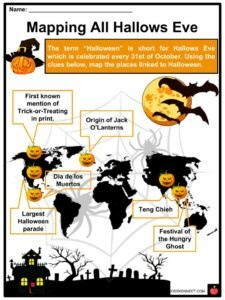 Halloween, also known as Allhalloween, All Hallows' Eve, or All Saints' Eve, is a yearly celebration in many countries dedicated to remembering the dead. Today, it is a more festive celebration and a lot of fun for adults and kids alike. 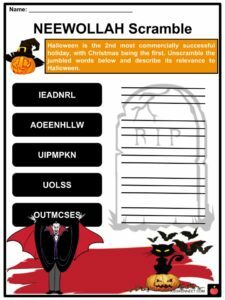 Halloween, also known as Allhalloween, All Hallows’ Eve, or All Saints’ Eve, is a yearly celebration in many countries dedicated to remembering the dead. 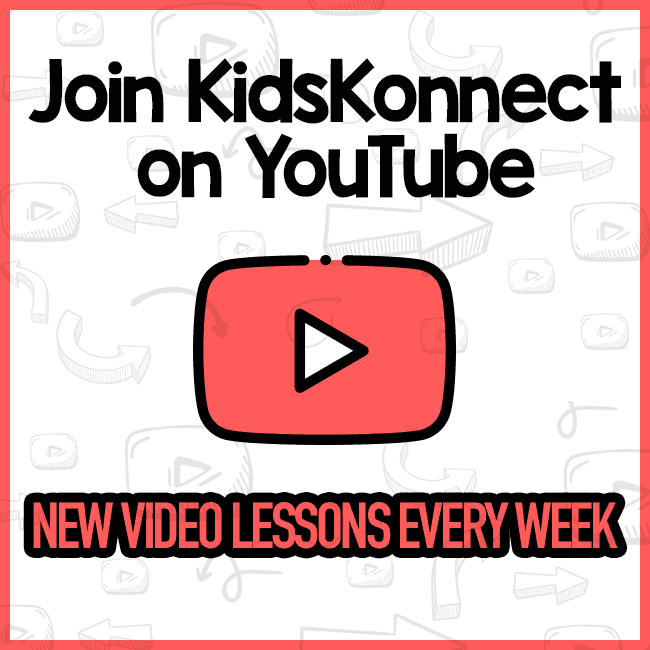 Today, it is a more festive celebration and a lot of fun for adults and kids alike. 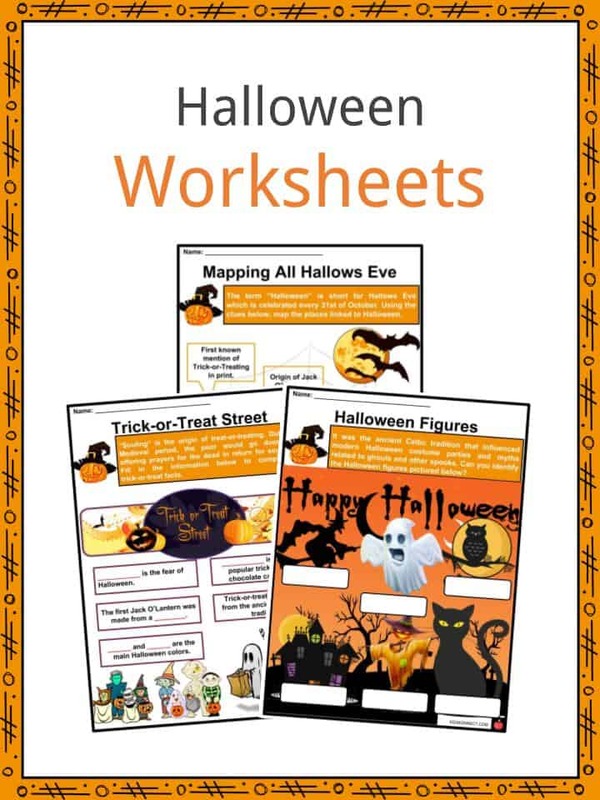 See the fact file below for more information on the Halloween or alternatively, you can download our 35-page Halloween worksheet pack to utilise within the classroom or home environment. 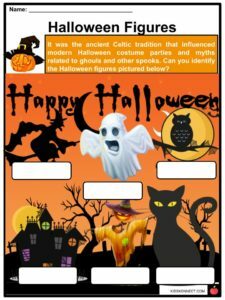 Halloween began with Ireland’s Celtic culture. November 1 was New Year according to the Druid’s religious calendar. The celebration actually began the night before on October 31st. On this night all the spirits who had died in the past year would roam the earth. The Celtic people began wearing masks and costumes to avoid being recognized as human. Moreover, the Celts believed that the day marked the end of the summer and start of winter, which they associated with the time of death. This night was considered an evil night when spirits roamed the streets and villages. Lord Samhain, the lord of Darkness, would arrive in search of the spirits to take them to the underworld. When the Roman Empire conquered the land of the Celts in 43 A.D., they combined the Celtic tradition of Samhain with their own Feralia honoring the dead in late October. Halloween was commonly referred to as “All Hallows Eve”. It originated from the pagan holiday honoring the dead. The Roman Catholic Church created All Saints Day (also called Hallomas) on November 1st to honor Saints, and All Souls Day on November 2nd to honor and pray for the souls of the dead. 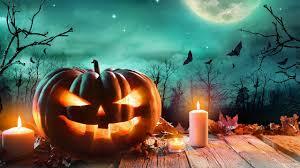 These holidays were created by the church in part to downplay the pagan holiday of Halloween. Halloween was brought to North America by immigrants from Europe who would celebrate the harvest around a bonfire, share ghost stories, sing, dance, and tell fortunes. 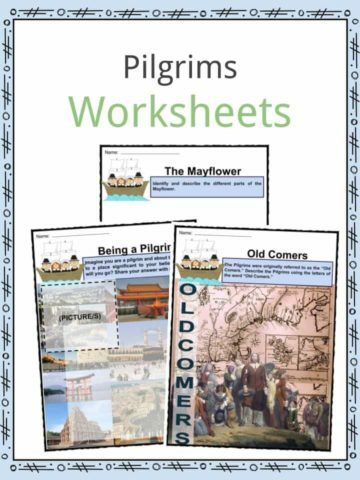 During the colonial America, halloween celebrations were limited to New England due to Protestant beliefs. It was only common in southern colonies. By the mid-19th century, annual autumn festivities were already celebrated in the United States. The celebration of Halloween only became popular during the second half of the 19th century when many Irish immigrants went to the US to escape the Irish Potato Famine. In the 1920s to 1930s, Halloween parties became a popular community centered celebration. 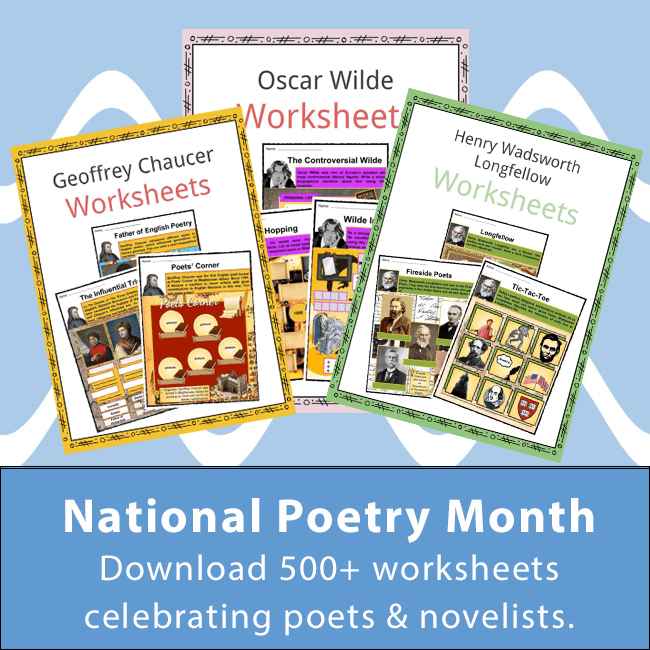 By the 1950s, it evolved into a child centered celebration commonly held in schools and communities. Also during this period, the trick-or-treating tradition was revived where children in costumes go door-to-door for candy. Today, Halloween is more festive for a lot of people. It is celebrated with costumes, decorations, trick-or-treating, and parties. Orange and black are the main Halloween colors because orange is associated with the fall harvest and black is associated with darkness and death. 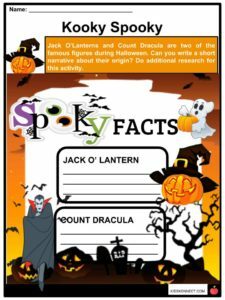 Jack o’ Lanterns originated in Ireland where people placed candles in hollowed-out turnips to keep away spirits and ghosts on the holiday. Halloween candy sales average around 2 billion dollars annually in the United States. Chocolate candy bars top the list as the most popular candy for trick-or-treaters, with Snickers being number 1. The first Jack O’Lanterns were made of beets and turnips. Witches are commonly seen during Halloween parties. This originated from an Old English term “wicce” which means “wise woman”. Scarecrows symbolize the ancient agricultural roots of the celebration. One of the original practices during trick-or-treating is giving of soul cakes. In the earlier times, the church encouraged people to give soul cakes to poor citizen in return for prayer for their deceased family members. In the ancient times, soul cakes and wine were left for roaming spirits. In 1978, the movie Halloween was produced. Michael Myers’ character used William Shatner’s Star Trek mask. Like black cats, owls were also an image of Halloween. People in Medieval Europe thought that they were witches. 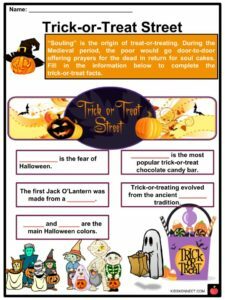 Trick-or-treating is also called souling. Scarecrows are also a popular image of Halloween associated with the agricultural roots of the celebration. 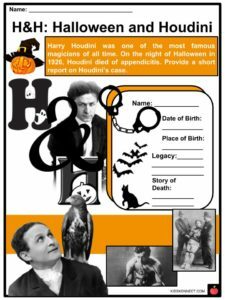 On the Halloween Night of 1926, Harry Houdini, the famous magician, died of appendicitis. In Mexico, their version of Halloween is called Dia de Los Muertos and is celebrated with festivities. A Halloween festival called Teng Chieh or Lantern festival is celebrated in China with dragon shaped lanterns, and other animals to guide the spirits of the dead. While in Hong Kong, Yue Lan or Festival of the Hungry Ghosts is celebrated with gifts to avoid revenge from ghosts. This is a fantastic bundle which includes everything you need to know about Halloween across 35 in-depth pages. 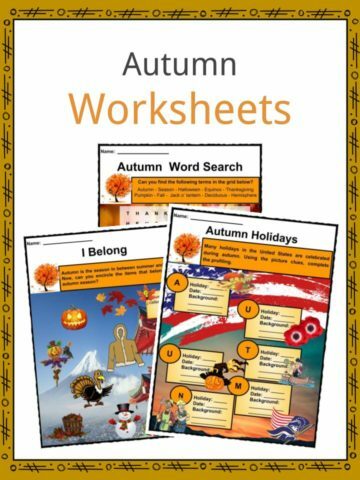 These are ready-to-use Halloween worksheets that are perfect for teaching students about the Halloween, also known as Allhalloween, All Hallows’ Eve, or All Saints’ Eve, which is a yearly celebration in many countries dedicated to remembering the dead. 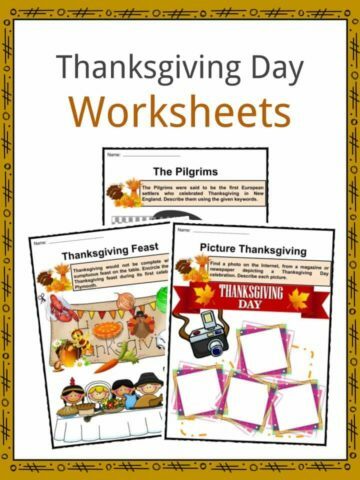 Today, it is a more festive celebration and a lot of fun for adults and kids alike.